Many Visio users create detailed elevation drawings of network and audio/visual equipment. The quality of these drawings can impress customers and enable equipment to be more quickly recognized in a diagram. While vendors such as Altima and D-Tools provide detailed Visio shapes, you may find yourself needing to create your own shapes from time to time. 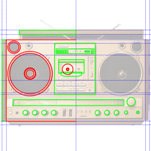 One method for creating detailed equipment shapes involves tracing an image of the actual gizmo. 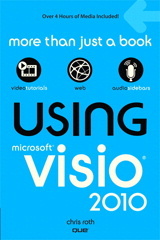 We’d like to offer a few tips to help you get the job done in Visio! Visio has tons of keyboard shortcuts, including modifiers for constraining the resizing and moving of shapes. For instance, with the Shift key depressed, you can constrain a shape to move only vertically or horizontally. Neat-o! But unless I have totally missed something (which does occur occasionally), there is one feature that Visio could really use: the ability to resize shapes on-center.